Our tour was given by two older gentlemen, one speaking Russian and the other translating into English. Both had been associated with the plant for many years, and I could hear the pride in their voices as they explained some of the factory’s early history in great detail. The museum is made up of three long rooms. 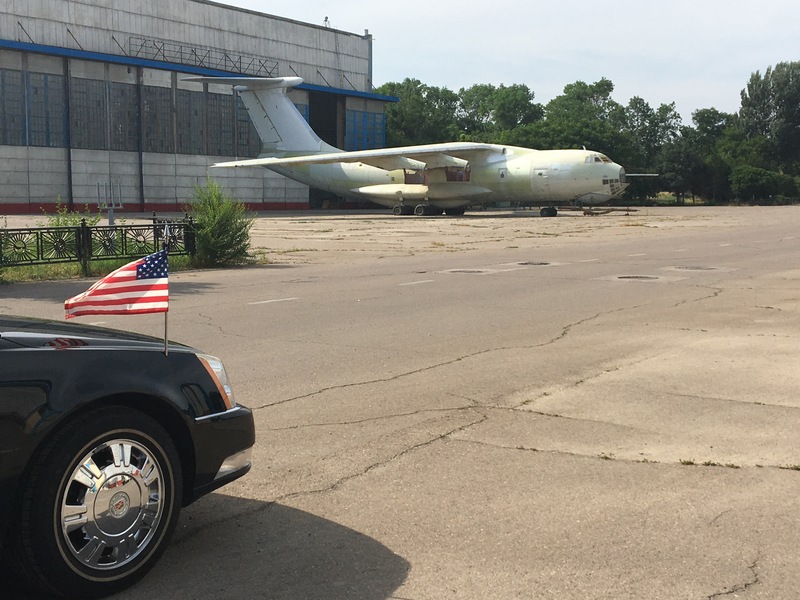 Exhibits feature the history and timeline of the factory’s founding, key planes that were built there (especially during the WWII and Cold War eras), and information about factory personnel and partnerships. 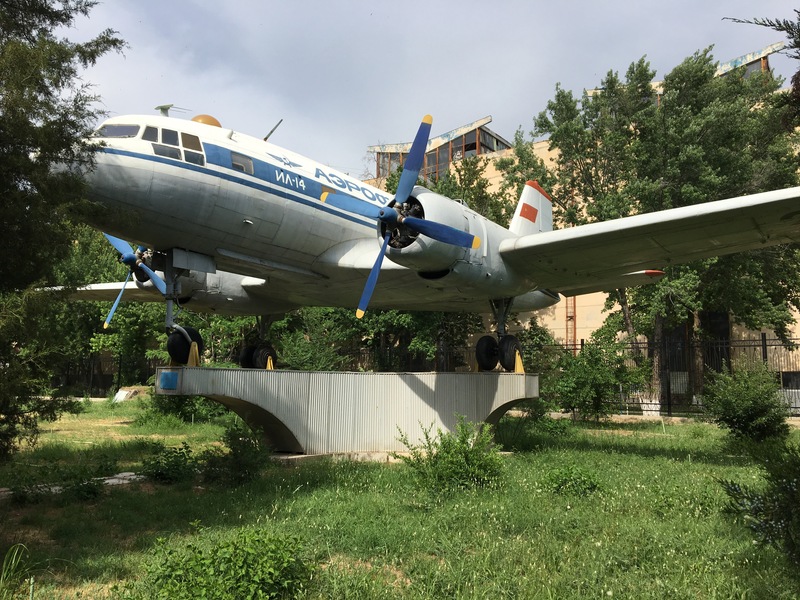 Key figures and historical events in Soviet and Uzbek aviation history are also highlighted throughout. Arguably one of the most important of these figures was Valeriy Chkalov himself. Chkalov in the 1930s was considered to be not only an exceptional and daring pilot, but a hero of the people during a time when Stalin very much wanted Soviet aviation achievements front and center on the world stage. 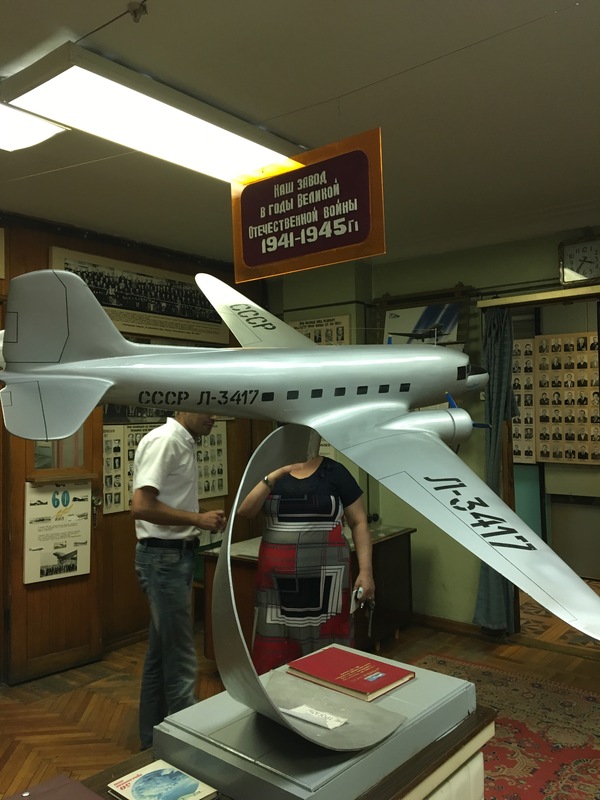 In June 1937, Chkalov, along with a flight navigator and a co-pilot, flew the very first nonstop flight between the USSR and the United States. The flight took off from Moscow, bound for California. Chkalov was brave (and perhaps a bit nuts?) to fly a route crossing the North Pole. Eventually, ice on the wings and low fuel forced the crew to make an unexpected landing in Portland, Oregon after 5,000 miles with only 11 gallons of fuel remaining. The total flight time was just over 63 hours, an astonishing length of time considering today’s technology and standards. Chkalov died about eighteen months later while piloting a Soviet test aircraft, in December 1938. His death sent shockwaves through the Soviet Union, and Stalin ordered his ashes interred in the Kremlin wall. Apparently there is also still a street named after him in Portland today. 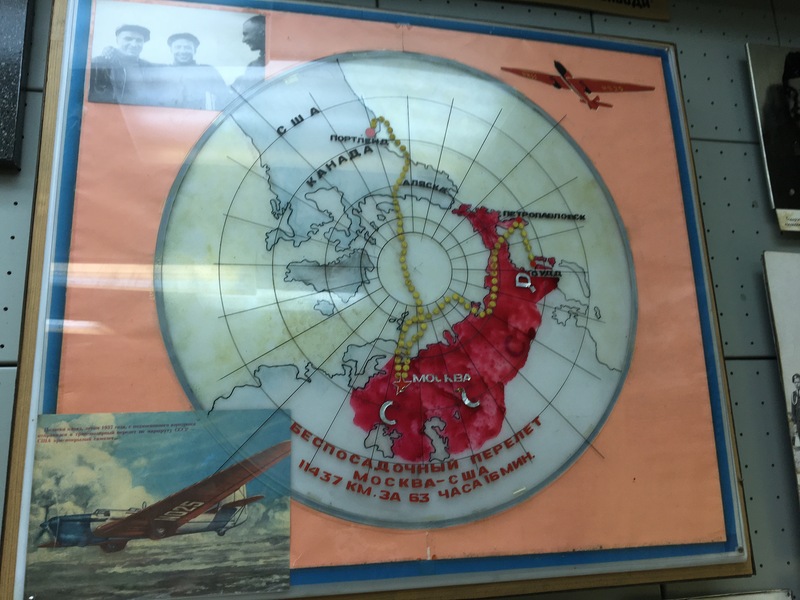 I’m a total novice on anything to do with aviation, but because I grew up in the Cold War era-U.S. and my dad was a pilot for years, I just found this set of exhibits fascinating. To actually see in person some of the things I only used to see on TV, was exceedingly cool. I also kept thinking about how interesting it would have been to have my dad there to see it too. I am definitely glad I had a chance to tour this factory, and I’m grateful to the personnel there who accepted us so graciously and shared their afternoon and history with us. 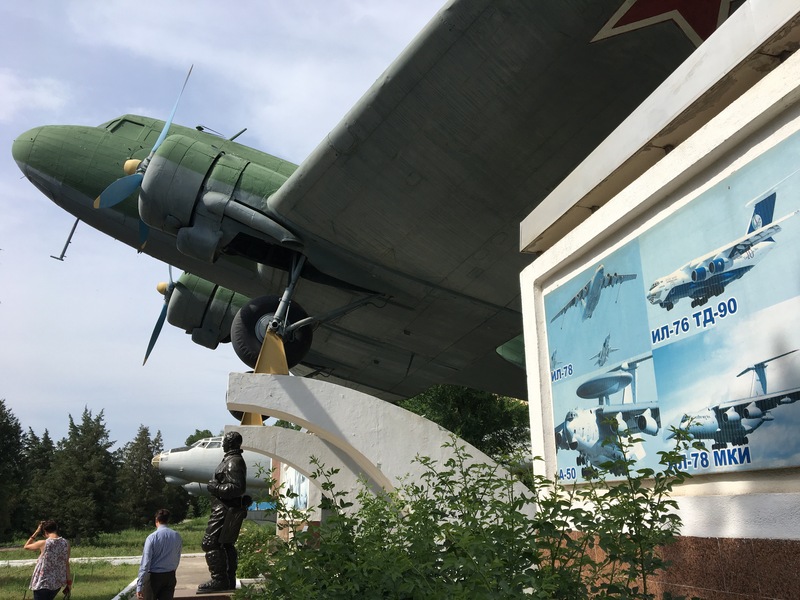 The overgrown nature of the outdoor displays is a little bit eerie and sad, but the Chkalov Aircraft Factory’s proud past is still evident today.